July 16, 2015 /0 Comments/in Piano, Sheet Music, TakeLessons Teachers /by Suzy S.
One of the most interesting things about learning piano is that it’s truly like learning a new language – just as you learn how to decode words on a page to read them aloud, you are learning to unlock the symbols on the page to play music. It’s a whole different world, and this article will help you to more easily understand what all the symbols mean. That way, when you look at a piece of sheet music, you won’t think it’s Greek; you’ll see music! The first thing to recognize is the grand staff. It is composed of two staffs (or groups of five parallel lines) joined together. The top staff uses the treble clef, while the bottom staff uses the bass clef. In general, the treble clef is where right hand notes are placed, while the bass clef is where left hand notes are placed. Once you know the piano note names, you will be able to read from the two staffs to play the correct notes with the correct hand. In piano music, you can use different fingers to play a single note. The finger you use will depend on the location of the note within the phrase, as well as the hand position you are using. For this reason, you will often see finger numbers marked in the music to indicate which finger you should use. Finger numbers are an essential aid to playing well, as they will ensure that you maintain a good hand position and move naturally around the keyboard without awkward finger tucks. Directly after the treble and bass clef, you will see the key signature: a collection of sharps or flats that indicate which notes to alter within the music, as well as what key you are playing in. After the key signature comes the time signature: usually two numbers, one above the other, that tell you how many beats are in each measure and what type of note (quarter, eighth, half, etc.) is equal to one beat. You will also see a marking indicating what tempo the piece should be played (for example, allegro, indicating lively, or largo, indicating very slow). As you progress on the piano, you’ll get to know these common sheet music terms very well. Sometimes this also includes a specific metronome marking, which is a guideline to understand the range of tempi that are possible. These markings tell you how loudly or softly to play the music, and when to gradually increase or decrease the sound. The letter ‘p’ indicates to play piano, or softly, while the letter ‘f’ stands for forte, or to play loudly. You will see a marking similar to a hairpin for a crescendo, or gradual increase in sound, and a reverse hairpin for a decrescendo, or gradual decrease in sound. The location and length of the crescendo and decrescendo markings show you how long they should last and where to begin and end them. Another category of markings you will see is for articulation, or the way in which notes begin and end. In the written music, you will see symbols like accents (similar to a forward arrow), indicating to play the note with emphasis, or staccato (a dot above the note), indicating to play the note with space before the next note (slightly shorter than full value). You will also see slurs, lines that slope above or below a group of notes, which signify to connect the notes smoothly together as you play them. Another marking you may see will indicate the mood of a particular passage. So you may see espressivo (play with great emotion) or appassionato (play passionately) marked in the music, among many others. One of the most important markings specific to piano is pedal markings. These illustrate where to depress the pedal and, often, how long to sustain it for. You will see this in the music as the abbreviation ‘Ped. ; or sometimes as a bracket underneath the line of music. So, the next time you pull out your piano sheet music, don’t feel overwhelmed. Instead, try going on a treasure hunt for these markings and symbols, and see what you discover about the music itself as a result! Still struggling with understanding how the notes translate to the keys? Check out my visual intro to the piano keys! January 12, 2015 /2 Comments/in Guitar, Sheet Music, TakeLessons Teachers /by Suzy S.
Learning to read music is important. It increases your understanding of your instrument and makes you more valuable as a musician. Reading music for guitar allows you to collaborate with other instrumentalists in ways most guitar players can’t. Even if you have tons of chops or know all about music theory: if you want to wear the ‘Good Guitarist’ badge with pride you will need to be able read music for your instrument. Here’s how to get started. Forget everything you know about your guitar. This is especially important if you already know how to play a little bit. It’s even more important if you are already an experienced player. Are you a pretty solid guitarist who knows their chords and licks and can solo over rock and roll songs? If you are, excellent! You can potentially have great success as a music reader because you won’t have to learn technique along with reading like most beginners. That being said: Assume you know nothing about guitar from this moment on. A good introductory method book is worth its weight in gold and you can get one at your local music store for about ten dollars. You need material that is ‘graded’. That just means a good method book will introduce new concepts in a logical manner and repertoire should increase in complexity gradually without too many sudden leaps in difficulty. The Mel Bay Guitar Method is the tried and true course for the aspiring reader. It’s been in print for decades and is wonderfully graded. The Hal Leonard Guitar Method series is also wonderful. It doesn’t move quite as fast as the Mel Bay books do, though. If you are already skilled at playing and want a more ‘adult’ book, Modern Method for Guitar by William Leavitt is a great series. Once you have your method book you are going to need a guitar teacher to help work through it with you. This is extremely important, even in the beginning stages. Entry level material may throw you some mental curve balls if you are completely new to reading music, and you are going to need a mentor to help guide you through them. A good teacher will be able to keep you focused. Reading is hard and it takes quite a bit of brain power and a good teacher will be able to monitor your tone, technique and rhythm while you focus on navigating the music. This is super important. The method books are great, but in the end they are only that: method books. Most of the material you read in your book will be applicable in the real world but is just a small sliver of what out there. Any music written in the treble clef should do the trick. Start hunting for sheet music. A good web resource is the Petrucci Music Library. Call your local music store and ask them if they have any overstock, damaged or otherwise forgotten about sheet music lying around. Anything will do. Check out garage sales and thrift stores. Don’t discriminate. Get as much as you can for as many instruments and in as many styles are you can manage. Stack it up by your music stand so it is always within reach when you practice. Remember that stack of sheet music you put next to your music stand? Pull out one page from it every single day and read the whole page start to finish. Don’t pick and choose which tune to play. Play the first page in the pile no matter how difficult it looks. Play the whole page one time and put that page in the bottom of the stack. You need to get your eyes and your brain used to looking at as much of this material as possible. Don’t stress on making it sound good. Just read the page and move on. Sightreading is the ability to read sheet music at performance level at full tempo without having to hear the material beforehand. Think of it like reading a book out loud in a school classroom. If you were asked to read a paragraph from a book you’ve never read before I’m guessing you’d be able to read it fluently and with some natural grace despite never having read that exact paragraph of text before. That is what sight-reading is, except with music. 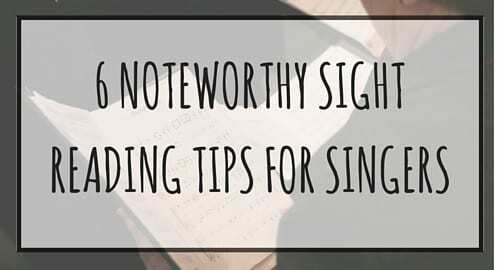 Reading from your big stack of random music every day will help refine your sightreading ability. Not to sound flippant, but this is important. Tablature is a handy tool, especially for beginners. Tablature allows us to have fun on our instrument without actually having to read and that is a good thing, in moderation. However, tablature is not ‘Sheet Music’. It has limitations in the way it displays melodic content and has no way to display rhythmic content. For these reasons tablature cannot be sight-read. The faster you get away from looking at it the faster you will become a good reader. Hopefully these tips will help you get started reading sheet music on your guitar. Remember to take it slow and to practice consistently. Reading a little bit throughout the week is sometimes better than cramming four hours of practice in the night before your lesson. If you focus and set goals your reading skills will improve and you will be a much more valuable musician as a result. Eric J. teaches acoustic guitar, bass guitar, blues guitar and country guitar in Elgin, IL. He received his Bachelor of Science from Northern Illinois University. Eric has been educating students for the past twelve years. Learn more about Eric J. here! December 10, 2014 /1 Comment/in Music, Sheet Music, Songwriting /by Suzy S.
As you develop your musical skills, you may become interested in writing your own music. While learning to play an instrument and being able to play others’ music is a wonderful skill, nothing compares to creating sheet music full of your own compositions! As a budding songwriter, you’ll need to add some additional skills to your repertoire. Writing music can be as simple as putting a pen to paper, or you can take advantage of the many songwriting tools technology offers. Whether you’re sketching out notes for yourself, writing the next pop hit, or creating sheet music of arrangements for a big band, the most important step is to just get started. This website allows you to print any kind of blank sheet music for free. No matter what instrument you’re writing for, you can find pre-designed sheet music for it here. They offer blank pages set up for piano and keyboard (grand staff), blank guitar tab, bass clef, blank mandolin sheet music, and even sheet music set-up for choir. Music-paper.com is a site that not only offers more than 100 different downloadable and printable PDFs of blank staff paper, it also offers information on how to write music! Whether you’re looking for paper to jot down your next pop song or orchestral opus, you’ll find it here for free. MuseScore is a free program that allows you to create, play, and print sheet music. It’s a great alternative to professional notation programs like Sibelius and Finale (see below). Muse Score is available for Mac and Windows along with various open source systems like Linux and Fedora. When you visit the MuseScore website, make sure to take advantage of their online video tutorials to help you get started. Available for free on the Google Apps store, Music Composer works on your Android smartphone or tablet. It’s an intuitive, easy-to-use application that helps you notate your musical ideas on the go, whenever and wherever inspiration strikes! It features a notation editor (that supports chords), and easy options to change tempo, clef, key signature, time signature, keys, and instruments. Also, Music Composer comes with 128 instrument sounds built in so you can hear your music played as you write it! When you’re finished composing, you can then export your sheet music as a printable image file or a playable audio file. Sibelius is the world’s best-selling music notation software used by professional composers, publishers, and advanced music students. It allows you to quickly express and promote your music, allowing you to share both audio and video of your work. It is the fastest, smartest, and easiest way to write music for performance, film, television, or the classroom. It’s a professional tool worth considering if you are serious about composing. Finale is another professional-level music notation program. Many music programs are drag-and-drop interfaces where you select items from a menu and drop them on the staff, but Finale offers complete freedom and flexibility. It offers extremely realistic playback of your compositions and allows you to print charts and scores. Finale also offers several lower-priced, upgradable products, including Printmusic (a “lite”version of Finale, at $119.95), which can print up to 24 staves. Another option, Songbook, is a free digital sheet music app for your tablet — great for bringing all of your music to rehearsal on your tablet! Composing is natural next step as your music skills advances. Whether you take the simplest approach of putting pen to paper, opt for free notation apps, or invest in a professional-level notation program, the key is to just get started! A great way to learn about composition is to work with a qualified teacher. If you already study with one, ask your teacher to help you. He or she can offer insight into the best way to get started and can help you with the learning curve if you choose to use software. Good luck! October 25, 2014 /1 Comment/in Flute, Sheet Music /by Suzy S.
Looking for free flute sheet music? If you’re a flute player looking for more music to learn, you’re in luck! There are many places to find free flute sheet music on the web. There’s more music out there than you’ll ever have time to explore, ranging from solos to duets to etudes and scales. You can find music in genres from Classical to Pop/Rock, Folk, and Holiday. Whether you’re looking for your next solo to study or want to practice your sight reading, the six sites below are excellent options for finding free flute sheet music. The IMSLP database is one of the best places to go for free flute sheet music. If you look at the page of scores featuring the flute, you’ll find thousands of scores available for free. These are classical, public domain works with varying instrumentation. Go to this site for flute solos, duets, trios, sonatas, concertos, and etudes, as well as small and large ensembles including the flute. This site can be overwhelming since there are so many pieces available. Try out some etudes, including popular ones by Anderson or Gariboldi, or play some duets, including ones by Quantz and Kuhlau. If you’re really into Bach, try out some of the sonatas, partitas, and concertos. FluteTunes.com posts free flute sheet music for a new song every day. Each piece is labeled by difficulty level from “easy” through “advanced.” The genres represented are mostly classical and folk music from a wide variety of cultures. Instrumentations represented include flute solos, flute duets, flute with piano, flute with organ, flute with strings, and flute with guitar. MP3 and MIDI tracks allow you to play along with the accompaniment while you learn the song. The site also has pages of flute scales and fingerings. 8notes.com has over 450 free flute sheet music pieces from various genres, including Classical, Rock, Pop, Jazz, Traditional, World, and Film. Songs are labeled by difficulty level from “beginning” through “hard.” Play-along tracks and sheet music accompaniments are available as well. Fluters Music is a blog run by a high school flute player who writes out the notes for the melodies of pop songs you hear on the radio. The notes are written as letter names above the lyrics so there’s no need to know how to read music! This is a great site if you’re a beginning flutist and you want to play the pop songs you already know and enjoy. Herbert Lindholm has made many of his flute compositions available for free. These include technique studies, flute solos, duets and trios, flute ensembles, and flute with piano or guitar. Most pieces are labeled by difficulty level (1-9) and also include the approximate duration of the piece. 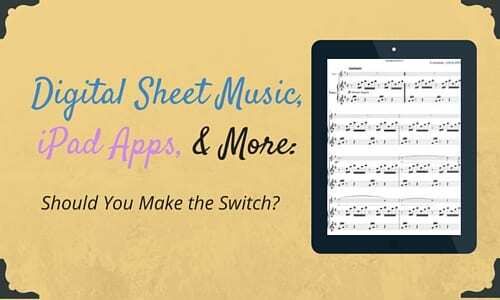 You should definitely add this to your list of sites that offer free flute sheet music. Lark In The Morning has a number of large collections of folk songs from all around the world. Collections of free flute sheet music include folk dance melodies from a variety of countries, including Armenia, Austria, Bolivia, Bosnia, Germany, Greece, and Yugoslavia! Now that you know the variety of free flute sheet music that is available, enjoy picking some new pieces you’d like to learn. There are a few pieces you may be able to learn on your own, but most will require the help of a teacher. Check out TakeLessons for an experienced flute teacher in your area. September 23, 2014 /0 Comments/in Sheet Music, Singing, TakeLessons Teachers /by Suzy S.
So, you’re thoroughly enjoying your vocal lessons with your wonderful TakeLessons teacher, and you’re ready to embark on your own to find new music to learn, preferably Broadway musicals (those power vocals of yours need applicable songs, of course!). Where should you start? Well, there are a few really wonderful services to find both computer-based and physical sheet music of some of your favorite Broadway selections. Below is a detailed list of these services. Scribd is a digital library, featuring an eBook subscription service that includes many free and paid books, magazines, and yes, Broadway sheet music. The service is available for iPhone/iPad, Android, Kindle, Nook, and Windows Phone smartphones and tablets, as well as on the web at Scribd.com, all for a monthly fee of $8.99 (or $3.99 with 12-month commitment). Scribd also offers a completely free one-month trial, which you can use to browse for music first. Use the search parameter “Broadway music” to sort through the different selections that you can save into your library. From there you can save the files to your computer or device, or even print it all out then. A student of mine came across this well-versed, purely educational-use-only Tumblr blog. Within this blog, links to PDF sources of sheet music, mostly Broadway sheet music, are provided for free. The links are highlighted and underlined within the blog comments itself, so take a look around and read some of the posts to understand how the links to the sheet music are provided. Musicnotes.com is an online marketplace that allows you to purchase and download computer-based sheet music, which you can either keep digital or print out. They offer many selections from Broadway, plus pop, holiday, and power ballads as well! Prices range from $4-$8 depending on the arrangement, which is quite reasonable if monthly subscriptions aren’t your thing. Sheet Music Plus is another online marketplace that allows you to purchase both digital print and physical print sheet music. They stock both individual selections as well as multiple Broadway selections in songbook form. Since there are usually many songs within the same songbook, this can be a very cost-effective way to get several Broadway standards in your hands at a good price. You can usually find songbooks reserved for certain voice types (Baritone, Tenor, Alto, Soprano 2, or Soprano 1 voice types most commonly). Excavating the Song: This website was set up by choral director Prof. Neal Richardson from Webster University in St. Louis, Missouri, for use with his own students. Even though he has now abandoned the online project, the website’s content–including some great tips from singers, songs from the 20s, and more– is still available for free. IMSLP: The Petrucci Library with the International Music Score Library Project is usually used when searching for classical music, as it’s the archive of music for free public domain music. Since I am a classically-trained singer, I use it a lot and often sing its praises. If you decide to expand your genre scope, start here before you buy any classical music. I hope this list helps you get started on finding Broadway sheet music for your lessons! Happy practicing! May 1, 2014 /4 Comments/in Sheet Music, Violin /by Suzy S.
The most valuable skill you can develop as a musician is learning to read music. While it’s possible to learn to play “by ear,” reading music opens up the world to you as an artist! There are many different ways to write music. Guitarists often read off of charts outlining the chord progressions for the song. Drummers have a rhythm chart showing them what to play. As a violinist, however, you’ll most likely be reading off of violin sheet music. Rhythm – notes, rests, dots, accents, etc. Navigation markings – repeats, 1st and 2nd endings, etc. Sheet music will also often include items specific to the particular instrument. For example, violin sheet music may include numbers to signify position on the neck, bow direction markings, and specific markings for vibrato and pizzicato, techniques specific to the violin. First, let’s look at the basic elements you’ll see on sheet music and then address some of the specific markings you’ll find on violin sheet music. Music is written on a type of grid that consists of five lines and four spaces, called a staff. Each of these lines and spaces signifies a specific note or pitch. Music is always read from left to right, and on the left hand side is a symbol called a clef. The clef will clue you in on the names of the notes on that staff, as it’s different for bass and treble clef. The illustration above shows a grand staff that is used in piano music. The top staff shows a G, or treble clef. It’s called the G clef because it somewhat resembles the letter G and the bottom circle surrounds the second line, which is the note G in treble clef. The bottom staff shows a bass, or F clef. It is known as an F clef not only because it resembles the letter F, but also because the two dots surround the second line from the top, which is the note F in the bass clef. As a violinist, you will only be dealing with treble clef, so we will look specifically at the notes in that clef. The key signature is marked directly next to the clef. The key signature consists of markings called sharps and flats, showing which notes are altered in that particular piece of music. A key signature is a universal marking, meaning that if it shows a Bb, then all of the “B” notes in that piece of music should be played as a B flat. This is a form of musical shorthand that is used to make reading music easier. The top number in the time signature signifies how many beats are in each measure. The bottom number shows what type of note receives a beat. For example, in 4/4 time there are four beats per measure and a 1/4 (quarter) note gets one beat. 4/4 is also known as common time and may be represented by the letter “C”. Now that we’ve explored the basics of the staff, let’s look at musical notation. Violin sheet music uses the treble clef, so let’s look at the basic note names in the treble clef. The musical alphabet consists of only seven notes: A, B, C, D, E, F, and G. Along with sharps and flats, these seven note names make up the entire musical alphabet. There is an easy way to remember the note names on the staff using one word and a simple sentence. From the bottom line to the top line, the lined notes are: E, G, B, D, and F. Remember the sentence “Every Good Boy Deserves Fudge,” and you’ll never forget the note names on the lines! The spaces spell out the word FACE – F, A, C, and E.
Because music has more than nine notes, ledger lines are used to extend the range of the staff. They can appear both above and below the lines of the staff. The note names continue using the musical alphabet. The top line of the staff is F, and the note sitting on the top line is G. Add a ledger line above the staff for the note A, and the note on top of that ledger line is B. The note pictured above is C and so on. Musical symbols are used to denote the duration, or how many beats to hold each note. The following chart shows the most common note durations in 4/4 time. Once you master these basics, you’ll be able to read and play everything from Mozart to Metallica! There are other symbols that you will learn as you study reading music, including volume markings, articulation markings, and tempo markings. But understanding these basic concepts are the first steps to achieving mastery in reading music. Because of the nature of the instrument, violinists will see some additional markings on violin sheet music that are specific to the instrument. Often, violin sheet music will include position markings. These signify when you move your hand up and down the neck of the violin to play different notes. They are usually shown as a Roman numeral beneath the note; for example, first position is I, second position is II, and so on. Violin is an expressive instrument and often composers will incorporate this in their music. You may see the symbol “Vibr” under the notes of a section. This is shorthand for vibrato, which is a technique of moving your finger to get a pulsing sound when playing a note. Because violin is played using a bow, there are specific symbols used in violin sheet music to signify if a note or series of notes should be played by bowing the instrument in an upward direction, or with a downward motion. Up-bows are marked using this symbol: >. A down-bow is shown as a partial rectangle open at the bottom. Want to put your violin sheet music knowledge to the test? Take a look at some of these violin songs for beginners, and see if you can make sense of the sheet music! The best way to learn how to read music, of course, is to study with a qualified violin teacher. While the basic concepts shown in this article can be learned independently, a teacher will help you refine and master the fine points of reading music. Learning to read music well will make your study much more rewarding and enjoyable. January 3, 2014 /0 Comments/in Drums, Sheet Music /by Megan L.
Think drummers don’t need to read music? Think again! Drum sheet music is a great way to learn your favorite beats and write things out so you will remember them later.